Body Master is one of the promising and successful projects we have done around the Kingdom of Saudi Arabia. Body Masters is the first specialized company in managing and operating sports clubs in Saudi Arabia since 1992. We offer our clients a wide range of Sport, fitness, and health services. Their network includes (30) Clubs covering more than 100,000 sqm. covering Riyad, Dammam, Qassim, Alahsa, and Khamees Mushait. Body Masters, today is one of the most recognized and renowned brands in the world of fitness in the kingdom, 400,000 national and multinational members chose Body Masters to enhance their fitness, physical health, development of their physical strength, in addition to leisure and entertainment. Body Masters services include swimming and water games - bodybuilding – fitness and Group exercise –Spinning sessions- Sports Games - football - aerobics - medical massage – Hammam Shami in addition to entertainment services like table tennis and billiards. Our professional team of fitness instructors includes certified world champions ready to help you achieve your fitness goals and enhance your lifestyle. The company was looking for a solution to restrict the access for the members of their gym according to the type of their membership. 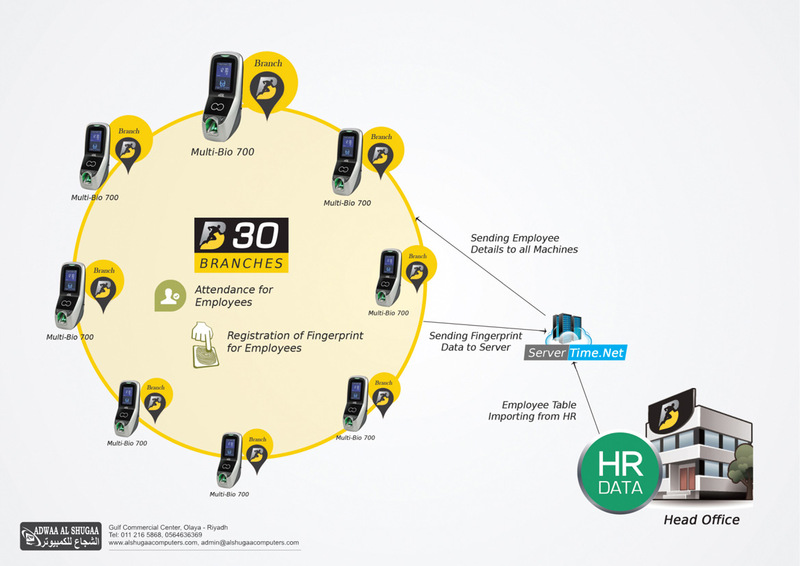 We successfully implemented our solution to meet the requirement of the customer by centralizing the access and where ever they are having their branch, the members could access the gym premises according to their membership privileges. The products used are Turnstiles, Multi bio 700, Inbio 460, FR 1200 along with our customized Body Master software. Tags: Turnstiles, Multi bio 700, Inbio 460, FR 1200 along with our customized Body Master software.